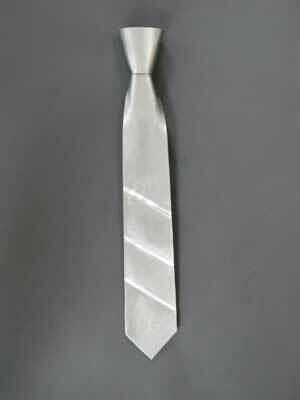 This is a piece of wearable art, a man's tie. There is an adjustable nylon strap that goes around the neck, not shown in the photo. This is a replica of a silver colored tie that I once had. The diagonal stripes are three-dimensional. I wear it occasionally, it is not uncomfortable.